You’ve been called for a job interview! Now what?! 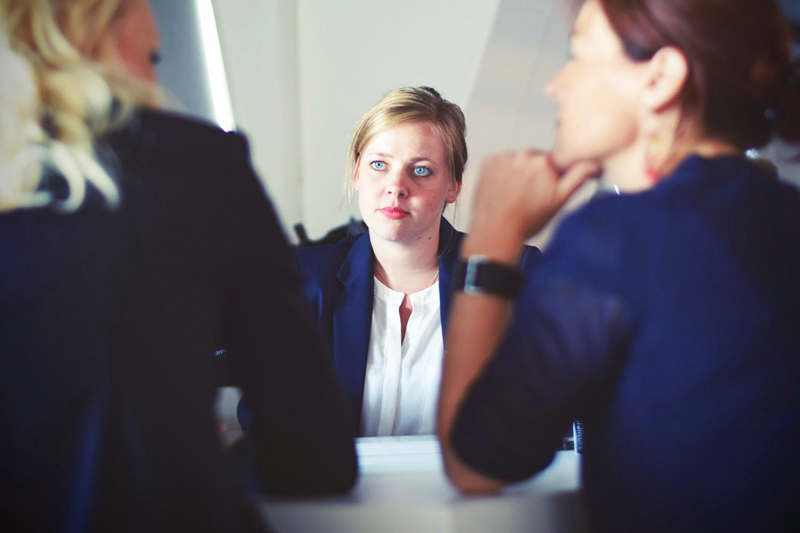 Job interviews are often the biggest hurdle to cross for job seekers. Wanting to make a great first impression with your future employer is important yet nerve-wracking and that is why preparation is key. To prepare, consider these six essential tips, plus a follow-up to help you walk into your job interview with confidence and leave a lasting impression for your future employer to remember. Your initial interview preparation begins with researching and gathering more information about the company. Start with the company’s website to learn more about their mission, company history, services/programs, staff, and publications (e.g. industry white papers, company annual reports). Additionally, you gain insights by perusing their social media pages such as Facebook, Twitter, Instagram, and their company LinkedIn page. Taking the time to know more about the company is beneficial, your research serves as foundational knowledge that you can contribute to the conversation. For example, a Facebook post that resonated with you and sharing your thoughts on the post. This process of preparation also helps with formulating questions for your interview. Being prepared with your questions will get you the information you need in considering if the company is also a right fit for you. Are there opportunities for professional development? If so, what do those look like? Is there anything else about my background or resume that makes you question whether I am a good fit for this role? What to wear to your interview is a vital consideration for your preparation. It’s your first impression. Start by laying out your outfit the night before, ensuring that it’s clean, pressed, and well-fitted. Think about the company and match your attire that is a professional fit. For example, if interviewing at a law firm, you would want to wear a suit (with a tie if applicable), button down dress shirt, and clean dress shoes. If it’s a more casual work environment, that doesn’t mean to wear joggers and a t-shirt. You’d want to wear business casual: jeans, blazer, t-shirt, and clean casual shoes. Along with professional attire, you want to look “put together”. Showing up disheveled at your interview will not leave the kind of impression that will lead to getting the job. It’s as basic as brush your teeth, comb your hair, clean your nails, and tuck in your shirt. Ultimately, you want to present an appearance that is groomed, tidy, appropriate, and professional. It may seem simple, but one of the most important parts of the interview is actually getting there. The day before your interview, check your email correspondence and note a company contact person’s cell/telephone number, interview location, time, and additional logistics (e.g. parking, entry to office building, who to mention when you arrive, etc). Always overestimate the amount of time it will take you to arrive at your destination and arrive at least 15 minutes early to your interview. If you’re feeling concerned over the commuting distance, consider mapping a stopping or waiting spot that is in close proximity to the interview location, such as a coffee shop, should you arrive significantly early. This can reduce the stress of an unpredictable drive and showing up late. Print your up-to-date resume and related documents to provide your interviewer/s. Make two or more copies: one copy for the interviewer and another for yourself. Both you and the interviewer/s can easily reference your resume in the discussion of your professional experience. Additional related documents to bring with you are a written description of the job, your curriculum vitae (CV), portfolio, and recommendation letters. In some cases, there are interviews that may lead to a swift or even on the spot hire. Whether this seems to be a possibility or not, having the following will be helpful with the spot hire: your drivers license or passport as an example of a photo ID, social security card, and fact sheet on your background. You want to avoid handing wrinkled documents to your potential employer. In keeping with tip #2, showing up “put together”, carry your documents in a professional folder that will prevent the materials from being wrinkled or stained and are conveniently accessible when you need them. Another important document to include in your folder is a copy of your references, especially If your resume does not include them. Have copies of a document featuring the information of at least 3 named references, your professional relationship with them, and their contact information. The reference request may not always come up, but when and if it does, this information available to your interviewer is a plus. Just be sure to notify your references of the possibility that they may be contacted by your potential employers. Leave your phone on silent and out of sight. In most cases a phone will not play part in an interview, however having it charged, put away, yet nearby allows for access if needed. Keeping it out of sight also helps prevent the phone from being an unnecessary distraction if you feel obligated to look at or acknowledge it. Now is the time to utilize your pens and notebooks. Not only do you look prepared, you are prepared. Jotting down notable factors such as numbers, dates, instructions, and a plethora of information you may need to reference during and/or after the interview will be helpful. Don’t miss out on the information you need due to forgetfulness. Get it written down. The external act of writing creates an appearance of engagement rather than distraction, demonstrating to the interviewer that you’re focused and present.